According to IKEA their furniture is designed to be simple to assemble. Regrettably, putting flat packs together aren’t so easy task and most customers are having problems with the instructions or assembly process. To avoid stress or damage to the furniture book our furniture assemblers, we are here to help you. 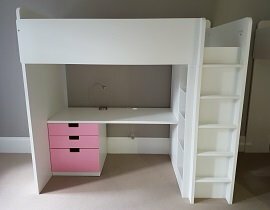 Flat Pack Assembly offers professional furniture assembly services in London, high standards of workmanship, responsiveness and affordable prices. We take our work seriously and do our best to ensure that our customers are happy with our service. We assemble all types of flat pack furniture from all major brands, including IKEA, John Lewis, Dwell, Mamas and Papas, Habitat, Argos, Mothercare and many more! We are one of the best furniture assembly companies in London. For a fast and efficient flatpack assembly service call our experts, we are here to help. We provide furniture disassembly and reassembly service in London. We dismantle your furniture carefully and put it together the way it was before. 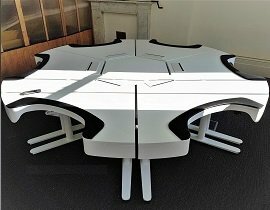 We can easily put together any type of desks, bookcases, chairs, shelves, cupboards and filing cabinets. Whether it’s IKEA storage furniture, wardrobe or cot bed, we will make sure it’s done the correct way. 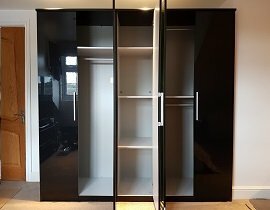 If you require PAX Wardrobe assembly and installation, Flat Pack Assembly is the service you can rely on. We assembly most outdoor furniture including: garden tables, chairs, sheds, trampolines and more. He has done the fantastic job for me. 5+star service! I will definitely use him again! Many thanks, Ramsey! He was able to come in a very short notice, friendly, knowledgeable and hardworking. Highly recommend. Alex is fantastic! Excellent, professional, affordable and well mannered. Highly recommended! Amazing! Its so nice to meet people who you feel wont rip you off, and that care about there work. Excellent work, every job, reliable, helpful and on-time. I would recommend this service to everyone. Excellent work, very quick and high quality services. The best value for money combination I came across on line. Regardless of whether you need IKEA bed frame to put together or John Lewis Mix it wardrobe to build, you can be sure that we will provide you with reliable and skilled flat pack assemblers, great customer service and first class work. When it comes to IKEA furniture, we are the most reliable and trustworthy flat pack assembly service in London. Flat Pack Assembly operates 7 days a week in London, including evenings and public holydays. Our flatpack assemblers are experts in furniture assembly and guarantee high quality of service and workmanship. We deliver excellent customer service and ensure to build your furniture to the highest standard at a reasonable price. 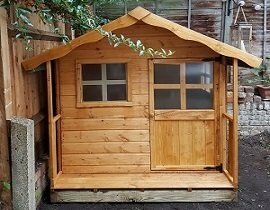 We do more than just Ready-to-assemble Furniture: exercise bikes, treadmills, football tables, playhouses, garden toys and more. Fast and Punctual: our flat pack assemblers are fast and work hard until the job is completed to your satisfaction. Friendly and Tidy: we provide well organized knock-down furniture assembly in London with a friendly attitude and excellent service.